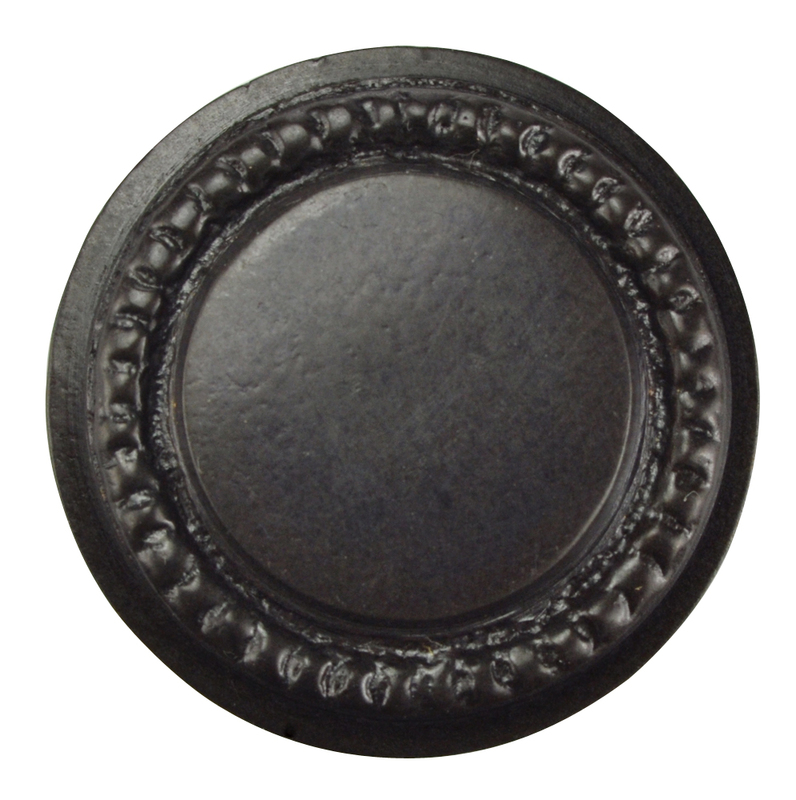 1 1/4 Inch Solid Brass Round Knob with Beaded Pattern Border - Oil Rubbed Bronze Finish. Measures 1 1/4 inch in diameter with a projection of 1 inch. Comes complete with the mounting hardware. Made from Solid Brass. This knob is available in several sizes and finishes. A coordinating pull is also available.